As of the first quarter 2018, Facebook stands at 2.2B users. Given a world population of 7.6B, that means that nearly 29% of humanity is actively participating in this single, centralised, autocratic medium. If tokenized, Facebook’s network value could exceed the GDP of many a nation, yet all the king’s horses and all the king’s men have proven incapable of converting this messaging app into an economy (the term economy here is used to refer to the context for production and consumption of products or services vis-à-vis the wealth they represent). With rumors of an impeding Facebook digital currency coming to the surface, we have yet to see whether the platform will fundamentally change, or the new coin will simply be stamped atop the existing model without the kind of integration that empowers transformation. My guess is that whilst initially a Facebook token may do well, over the longer term the legacy structures the company is suffered to endure will prevent the metamorphosis required to survive the impending wave of competitors. In the meantime, smaller players are actively exploring the opportunites available from the marriage of Social Media and Blockchain. Value exists within given, isolated contexts. Within the workplace it is valuable that an employee perform his duties to the best of his ability i.e. that is the fact that is worth a reward in hard currency (for the sake of simplicity of language, all gender-based terms are assumed to be neutral). But there are other forms of value that aren’t likely to receive financial remuneration, e.g. taking regular coffee breaks. These temporary disruptions in the workflow enable the cohesion of a corporate culture, allow employees to relax and be more productive (or just more awake), and facilitate inter-office communications. However, we do not pay employees to drink coffee. Within Social Media Networks (SMNs) there are a plethora of activities each of which can be monetized — the key questions are: how do we decide what is worth paying for, who’s going to pay for it, and how much? These questions comprise the key to the building of an economy, or more specifically, the transformation of SMNs into economies. A priori system design often suffers from the lack of foresight. We cannot see the future and thus cannot foretell the myriad ways in which a system will be put to use. The best approach therefore, is to merely provide capability, and allow the user base to dictate usage organically. Every endeavour must find a way to produce return on investment. In traditional SMNs the model that reigns supreme is a legacy of the newspaper era: advertising — the dominant social media networks in existence lack an independent economic model. That is to say, they are tethered to monetary value expressed in exogenous terms i.e. fiat currencies, and therefore must rely on income from external sources, primarily advertisers. But a Blockchain-based SMN, sporting a currency of its own, is free to explore a great diversity of other models, for example, paying for a like, or perhaps charging for it, depending on conditions. 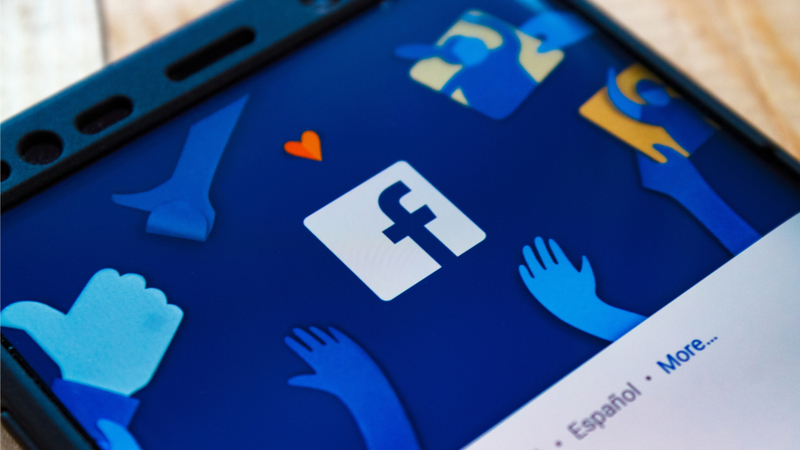 Facebook cannot pay for likes because no matter their cost, it would be prohibitive in fiat terms, but it could hand out a token that costs nothing to manufacture and that yet has the capacity to establish a foreign exchange rate to fiat i.e. that eventually becomes worth real money. There is a cost to the production of content, but to the network it’s invisible because the producer is willing to absorb the cost for reasons beyond the scope of this document. Yet the content is valuable. The question we would have to ask in our current world is: Is it valuable enough to command payment in hard cash? But in the alternate world of token economics we need not make that distinction. If it is valuable, it can be compensated. Likes are valuable to the content producer because they represent engagement that can be monetised elsewhere, and therefore could be bought i.e. a person that posts an article or video could pay people to like it, which represents earning potential. Or consider a manufacturer who must surrender a token every time a viewer claps on an ad. These tokens could be collected across time and eventually be used to purchase an item from the manufacturer, in essence, representing a slow crowdsale done with advertising. Of course, with the advent of ad bots, measures to prevent fraud would be required — more on that below. But it could run the other way, a like could cost a token because it represents the validation of some assertion or the support for a meritorious cause. Such cases represent situations where the viewer derives value from surrendering tokens, much in the same way the purchasing of goods works today. For example, a fact-checking network could monetise an assertion by way of likes or dislikes, where the token balance of a given fact indicates its reliability — a model that closely resembles predictions markets. Also, webs of trust can be built using economics, much in the way they were built via signatures, back in the days of Phil Zimmerman’s PGP. With such a structure the $19B problem of ad fraud can be unequivocally solved i.e. a tokenized SMN can guarantee no sanctuary for bots or ghosts. Finally, liking a post about elephant poachers could represent financial support for a solution via the donation of tokens. But the expenditure of tokens is only one monetary function that can be explored. The notion of staking, where holding tokens can be used to control network behaviour, also holds great potential. Consider dividend tokens where holders are rewarded for their position, or discount tokens where a positive balance grants the holder discounts on network services. Or models where service provision is allowable only by staking, or where services are tiered depending on the level of a position. An SMN could, for example, allow advertising only on condition that the advertiser hold tokens, and could regulate the length of the content depending on the size of the position, or the time of display, or the demographics of the audience. A network could also create a VIP status where the top 10 holders of the coin are granted special privileges. This structure would cause a competition for tokens where an advertiser would seek to bump an existing holder off the list by purchasing more tokens. This special club could be granted access to premium opportunities, dependent on the nature of the network. As many authors have pointed out, economic models must balance the need to reduce token velocity, with the transaction growth it facilitates. Create too much friction and people will hoard, depriving the network of the oxygen it needs to conduct business. Create too much efficiency and people will spend, depressing token prices and removing the return needed to finance the project. It’s a tightrope. Whatever the specific set of incentives, decentralised SMNs have surely an upper hand over their centralised counterparts, not the least of which features the absence of shareholders i.e. the enormous profits realised by the likes of Facebook can be kept within the network and shared with its members. The right economics model can engender the degree of virality needed for tokenised SMNs to become substantive rivals to Facebook. But the prospect has a much broader reach — transforming these networks into economic spaces will provide fertile ground for competing with real economies, creating new and as yet unimagined virtual goods and services that will herald a fresh wave of prosperity and economic opportunity for our younger generations. It’s a long path, but we have already walked most of it, and today we have much to look forward to.